We believe there is no optimum management style. To gain respect and buy-in from your team, different situations call for different behaviors. Through situational sensitivity, effective Leader-Managers know how to accurately read the situation at hand. They then adapt their behavior to impact the outcome. Sticking to one style can lead to loss of team buy-in on some vital endeavor. Personality is all about who we are. This includes characteristics related to our way of thinking, feeling and of how we perceive the world around us. Usually consistent in pattern, our personality traits stay with us for our entire life. It’s what makes us unique. So, the likelihood of making fundamental changes in our personality is pretty low. How we behave feeds into that personality, and we know we do have control over our behaviors. We can make choices about them. When it comes to management style, we don’t have to stick to the binary extremes of a dictator barking orders, or that of a ‘why-can’t-we-all-get-along’ type of manager. Like all skills that can be learned, exhibiting more than one management style and using that with ease is no exception. It’s a discipline that can be learned. By learning to expand your management styles, you can increase your influence and be a more effective Leader-Manager in any situation. Let’s closely examine what those situations involve. When considered in the context of the appropriate management styles to use, we refer to these as either task-oriented or relationship-oriented styles. Task Orientation is the extent to which a Leader-Manager directs their own and their team’s efforts towards the achievement of results. Those with high task orientation tend to direct others by telling them what to do and how. Relationship Orientation is the extent to which a Leader-Manager is likely to focus on people and mutual trust, respect for their team members’ ideas and consideration of their feelings. Each of these situations will have unique characteristics. The context to be considered is the person on the other end of the communication, the work processes related to that situation, and of course the culture of the organization. If the situations vary, and the outcomes you need to achieve vary, then there can’t be one single management style for each. Let’s break it down a bit further. There are four more effective management styles that, when used in the right situation, will allow you to achieve your outcomes more effectively. The Developer, as the name suggests, encourages and develops the talents and skills in others. They are effective in working with people, coaching and motivating them. Developers ask questions. They listen and encourage interaction. They don’t tell. And in doing so, they help people solve their own problems. TIP: Using Developer style can be particularly effective in development conversations with team members such as in one-on-one or in group in interactions. Administrators follow company rules and go through the proper channels. For them existing and past practices are the only guidelines. They follow, and insist that others follow, agreed upon policies and practices. TIP: Adopting the style of the Administrator can help you be effective in getting buy-in and commitment to policy and procedures, and in keeping things on track. All meetings need some degree of administrator behavior. The Collaborator sees their job as getting the best out of others. They set high standards for production and performance and recognize that they need to treat everyone a little differently. The Collaborator uses teamwork for making decisions, and coordinates team members to work together more efficiently. TIP: Using a Collaborator style can help you encourage higher performance from your team, while keeping their morale high as well. The Benevolent Autocrat is decisive, committed and industrious. Tone and language are essential in ensuring commitment, buy-in and understanding from their team. Their main skill is in getting others to do what they want them to do, without creating undue resentment. TIP: The Benevolent Autocrat is an effective style to adopt when there is a sense of urgency in communication or execution of a task. A first step towards improving managerial effectiveness is to improve style awareness. The latter refers to the degree to which managers can evaluate their own style correctly. Accurate assessment is what arms them with the knowledge to recognize the impact of their behavior. The intent here is is not the impact it may have on themselves. It is rather the impact it has on others. Without that knowledge, they cannot correctly assess the situation they are in and cannot predict the result of their own behavior. It may take some practice. 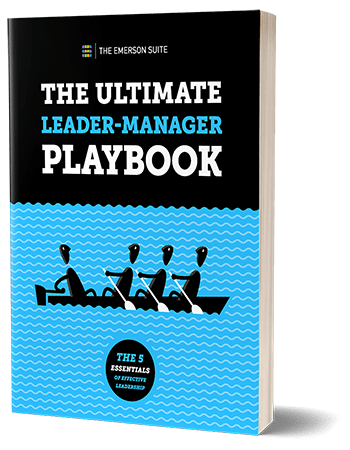 But learning to expand your management styles can mean the difference between an ineffective manager of a divided group, and an effective manager of an engaged and productive team. Managing with impact takes leadership and courage. And leadership starts with behavior. Using the right behavior, at the right time, in the right context, with the right individuals will earn you respect from your team and allow you to get things done faster and achieve the desired outcome every time. See how effective use of management styles was a game changer for this financial tech company. Is Your Team Aligned for Success?